Speaker Shama Hyder is a visionary digital strategist. As an acclaimed presenter, Shama helps top brands succeed in the digital age via influencer marketing, experiential and digital storytelling. Her expertise is globally recognized as Shama has already delivered keynotes in over 20 countries. 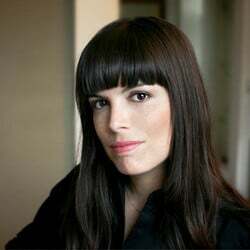 She has been named the “Zen Master of Marketing” and she is among the Top 100 young entrepreneurs in The United States. Shama has a tremendous amount of flair in digital marketing. She frequently works with top companies to set up their digital strategies and her work has been recognised by numerous organizations. Her keynotes are available globally and they can be tailored to the exact needs of the client: from women’s groups to students to C-suite, Shama offers her keynotes to a multitude of B2B and B2C clients. Shama is a true expert of digital marketing. 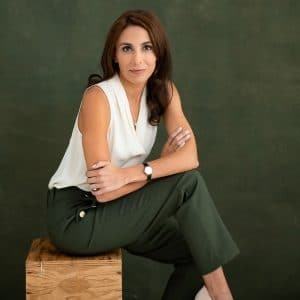 As the CEO of her company Zen Media, she offers solid solutions for both B2B and B2C brands via influencer marketing, experiential and digital storytelling. She frequently works with top organizations like Chase Business and The US Navy with great success. Speaker Shama Hyder has been named the “Zen Master of Marketing” by Entrepreneur Magazine and both the White House and The United Nations considers her as one of the Top 100 young entrepreneurs in the US. As the bestselling author of the books The Zen of Social Media Marketing and Momentum: How to Propel Your Marketing and Transform Your Brand in the Digital Age, Shama really knows how to influence large audiences. Speaker Shama Hyder has delivered keynotes in over 20 countries and often speaks for recognized brands like Movado, Tupperware and Inc 5000. She offers her presentations to a variety of clients from women’s groups to students to C-suite. Her success has been recognized by numerous organizations. Speaker Shama Hyder has been the recipient of the prestigious Technology Titan Emerging Company CEO award. Moreover, she was named among the “Top 25 Entrepreneurs under 25” by Business Week in 2009 and one of the “Top 30 Under 30 Entrepreneurs in America” by Inc. Magazine. 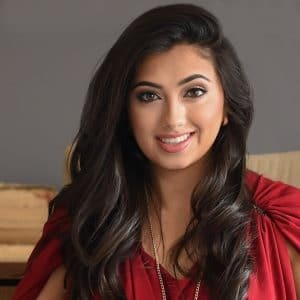 Forbes also put Shama on the list “30 Under 30” of movers and shakers for 2015 and LinkedIn named her as one of their “Top Voices” in Marketing & Social Media for three years in a row. A youth boom is fast approaching – by 2030, the majority of the workplace and a potential customer base will be made up of Millennials and Gen Z. They already make up 46% of the entire population which means $343 billion in annual buying power. Speaker Shama Hyder can show you the right strategies, mindset and approach to reach the youth market. This presentation is full of valuable takeaways. You will learn to Understand the Millenial Mindset – including the way they think and what they expect from companies. Old marketing and sales tactics are not going to work. Shama will show you what to do instead: you will know how to reach, manage and sell to Millennials with success. Today’s digital landscape is constantly changing at an incredible pace. There is a multitude of media platforms – making it difficult to integrate your marketing efforts and to get results. How to stand out and create momentum in today’s marketplace? Speaker Shama Hyder designed this keynote to tell you the 5 Momentum principles which you need to thrive in the Digital Age. You will instantly generate more ROI and reach a wider audience, attracting more customers successfully. Social media is no longer optional. It is an essential tool for an entrepreneur to sell, communicate and engage in the Digital Age. You have to figure out the best ways to connect in this new ecosystem. However, it can be overwhelming and frustrating to figure out how. Speaker Shama Hyder can help you with this by showing you the up-to-date ways to reach your customers and potential clients. You will discover how to grow your online brand and learn ways to test, measure and achieve more ROI with your online strategy. 92% of consumers (both B2B and B2C) look online before making purchasing decisions. There is an immense opportunity to increase visibility, attract more referrals and grow your business. How to attract effectively these customers? 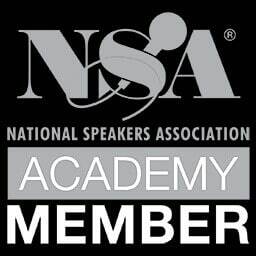 In this keynote, speaker Shama Hyder will teach you the 5 key strategies to help you grow your personal brand’s digital footprint. At the end of the session, you will know how to attract the right new customers – and the way to keep them. Today’s leaders are being called to a new standard. To reach customers, influence stakeholders and engage employees, leaders must learn how to use digital platforms. This is easier said than done – speaker Shama Hyder can help you with this! As a result of this keynote, you will understand why and how to build a digital footprint and increase your influence as a leader. By learning the five principles of building a strong personal brand, you will increase your impact and establish yourself as a thought leader across various channels – with employees, stakeholders and customers alike.